The DMR-203 is a general purpose dual-channel radio-control interface providing proportional motor speed control from a standard radio control system. It accepts two standard Pulse Position Modulated inputs from the RC receiver and converts these to a suitable signal to operate two of our controllers, such as the DNO, PRO or 4QD ranges. 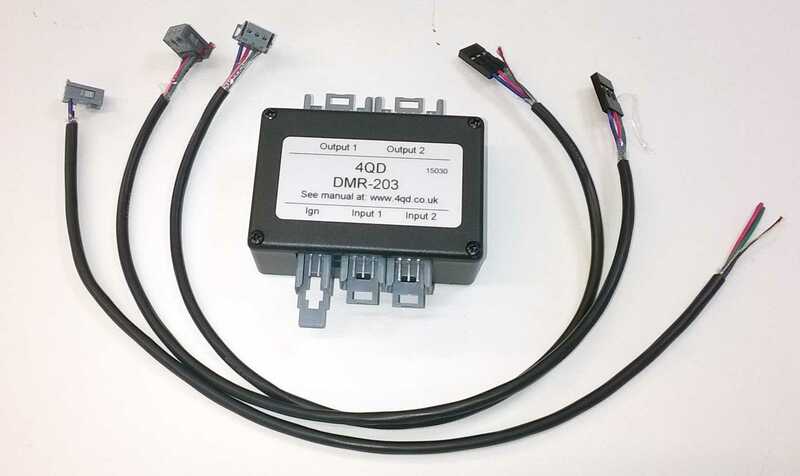 The DMR-203 is a general purpose dual-channel radio control interface providing proportional motor speed control from a standard radio control system e.g. Spektrum, Futaba etc. It accepts two standard PPM inputs from the RC receiver and converts these to a suitable signal to operate two of our controllers, such as the DNO, PRO or 4QD ranges. Other applications where powerful motor control via radio is required. Mixed or tank style steering modes. Dead-band areas on both centre and full stick positions. Switched or proportional output modes, with reverse drivers. Signal validation and rejection for noise immunity. 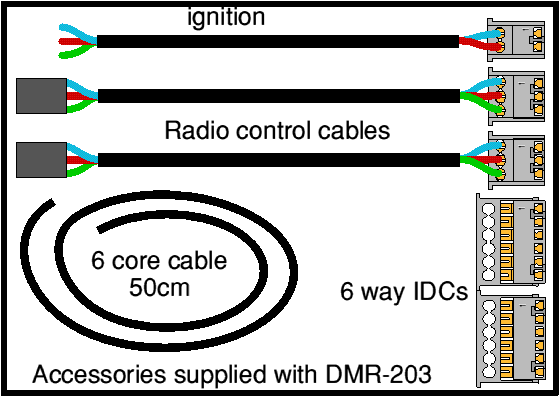 Supplied with connectors and cable as diagram. For controlling a Pro-150 the DMR-213 should ideally be chosen. However the DMR-203 can be made to work by following the notes on this page.